While the crypto industry is often lauded for its forward-thinking, well-crafted ideas, products, and solutions, some startups in this nascent industry take innovation a bit too far, often crossing regulatory grey areas that may spark action from governmental agencies. Most recently, Yobit, the 45th largest exchange by daily volume at the time of writing, announced a plan to overtly pump ten random altcoin markets in an apparent publicity stunt. It is widely believed that the exchange made such a plan in a bid to garner a larger user base and press, whether good or bad. As the age-old saying goes, “there’s no such thing as bad press,” right? The Russian exchange, which offers a wide variety of altcoins, explained in a tweet that it would buy “one random coin for 1 Bitcoin (BTC) every 1-2 minutes on ten occasions”, which will result in the exchange ‘investing’ over $64,000 in organization-owned funds to overtly pump an unnamed set of crypto assets. As soon as this announcement hit social media feeds, users began to bash the exchange, with many prominent crypto commentators expressing their disbelief that such a business practice would be publicly revealed, on a well-followed Twitter page, no less. Crypto commentator Nye, commonly referred to as “Shill Nye the Crypto Guy,” used a specific set of expletives to allude to the fact that this move is unacceptable on many levels. Others, like the analysts at AltcoinBuzz, suggested that this could be a ruse, but were later surprised when they saw that Yobit had actually posted a ‘pump’ countdown timer (seen below) on its exchange platform. Crypto analyst EmptyBeerBottle joked that this announcement made him close Twitter altogether, adding that such a move indicates that Yobit’s top brass may not be making the best decisions, to put it lightly. Most importantly, however, was the users who tagged governmental bodies, like the SEC, who indicated that the shut down of the shady platform was now in order. Still, this move to publicly announce a pump and dump doesn’t only reflect badly on Yobit, but on the crypto space as a whole, which isn’t something that this industry can handle right now. Since Bitcoin’s inception, nearly ten years ago, this technology has been the target of horrendous backlash from governments and traditional firms, especially closed-minded financial institution. While the crypto ‘haters’, so to speak, have begun to slow the issuance of their inflammatory claims, Yobit’s move to “pump” coins only legitimizes the hatred toward this budding asset class. As seen the ongoing case with 1Broker, which saw the trading platform fall victim to a coordinated attack from the U.S. SEC, CFTC, and FBI, governmental bodies are willing to take down crypto platforms if they pose a threat to American investors, even if they aren’t situated in the United States itself. And while the Russia-based exchange may have other intentions with the in-house pump and dump, it is clear that its plan to inject 10 BTC into the crypto market at random poses a large threat to investors worldwide. As of the time of press, Yobit has yet to issue a statement on the matter or made moves to retract its plans to pump ten altcoins sky-high. However, many have begun to believe that the pump is still slated to occur, as to the chagrin of many of the startup’s critics, Yobit has still seen a 94% rise in volume in the past 24 hours. Ripple’s co-founder Chris Larsen made his way to the 383d place in the Forbes 400 list of the wealthiest people on Earth and became the wealthiest person to earn his fortune through cryptocurrencies. Forbes published its latest list of the 400 wealthiest people on Earth, where Chris Larsen takes 383rd place with an estimated net wealth of $2.1 billion. First place is occupied by Amazon’s CEO Jeff Bezos, who finally wrenched the leadership from Bill Gates. Chris Larsen appearance in the Forbes 400 list is remarkable in that he is the only person in the list who made his money on digital assets. Being a co-founder of Ripple, he owns a share in the company and about 5.19 billion XRP tokens. While $2.1 billion sounds like a whole lot, it is more than ten times smaller in comparison with his net wealth at the beginning of the year, when Ripple’s XRP was changing hands at $2.39. At that time, Forbes estimated Larsen’s fortune at $37.3 billion. XRP has lost over 75% since the beginning of the year, erasing the net wealth of Ripple’s founders. Ripple’s current CEO Brad Garlinghouse net wealth reportedly amounted to $9.5 billion in January; however he failed to make his way to the list as due to cryptocurrency market volatility his capital dropped below $2.1 billion, the minimal amount to qualify for Forbes 400. However, both Larsen and Garlinghouse are well positioned to increase their net worth in the nearest future if Ripple’s cryptocurrency-based technology xRapid launch announced in late September, lives up to expectations and gain wider adoption among traditional financial institutions. The announcement triggered XRP’s breakneck growth. While the momentum proved to be unsustainable, the coin has an excellent potential to resume the upside movement once xRapid adoption gains traction. Forbes published its first-ever Crypto Rich List in February 2018, which contained 20 wealthiest people in cryptocurrency industry. Ripple’s Chris Larsen topped the list with net worth of nearly $20 billion at that time. Ethereum’s Joseph Lublin and CEO of Binance Changpeng Zhao took the second and the third place respectively. Forbes, the business magazine popular for its billionaires list, has made its first compilation of the 20 richest people in the cryptocurrency space. This market has grown exponentially since September 2017 but has entered a massive correction since January 8. During the expansion phase, several people became multi-millionaires and even billionaires. Currently, the total crypto market capitalization is estimated at $384 billion, which is based on the value of almost 1,500 digital tokens. The market has lost more than half since hitting the record high of around $829 billion. Given the high volatility of crypto assets, Forbes has provided ranges rather than precise figures. It’s worth mentioning that the magazine put together its crypto rich list when the total market cap was about $550 billion. This value was recorded on January 19, 2018. Recently the Monero (XMR) team announced the opening of a new website that purposes to instruct users on cleaning up crypto-jacking malware and ransomware. The comfort of mining and privacy of Monero are exceptional features for the coin. However, the features attract bad actors who use the coin in malware. According to Justin Ehrenhofer, the director of the Malware Response Workgroup, major 2 factors make XMR attractive to hackers. The ability to use cryptocurrency in malware is not exclusive to Monero. Bitcoin and other digital currencies have been used in the same attacks, but XMR has confidentiality features that make it stand out. The new Malware Response website pursues to notify visitors on the methods to stop and remove malware. It is even expected that users will feel frustrated when they visit the website and seeking answers since most will not know what is happening. In addition to noticing if XMR-based malware is running on your computer, the site includes preparations for the three types of attacks that are used: browser-based mining scripts, system/PC based malware, and ransomware. Scripts to mine Monero in the browser are infrequently organized as an opt-in service as a technique for visitors to fund websites. Crypto mining as a choice for visitors as compared to the advertisements. If readers opted-in, their browsers would mine XMR with their computers’ resources while they browsed the site. However, attackers can also introduce mining scripts into susceptible websites without the webmaster or visitors knowing, which is known as “cryptojacking. McAfee labs reported that cryptojacking increased by 86 percent in the second quarter of 2018. Additionally, for 2018 so far, prohibited cryptojacking is up a shocking 459%, due to largely to the leaks from the NSA’s hacking tools. Offenders then used these tools to infect computers with malware. As the NSA (and Microsoft) have already admitted blame for the mistake, one would think they would be the entities creating an educational site like Monero’s. As cryptojacking attacks are different from webmasters/internet users and sometimes cultured, education is a key role in rapidly learning and responding to security breaches. The Monero technology and community do not overlook any hateful activities that Monero is used in. Monero itself and the community aren’t attacking computers, but the computers are attacked with some susceptibility and the attacker chooses to run mining software on the cooperated machines. COINiD, a Swedish Company has declared its flagship bitcoin wallet for iOS and Android devices. It is now available for the users to access. COINiD’s solution is open to all types of investors who would like to store their bitcoins offline. The flagship product provides a low barrier of penetration into the sphere of offline bitcoin storage because the firm doesn’t compel the users to buy high rate hardware. Any user can put her or his coins in offline storage with an old spare gadget in just 10 minutes by using the wallet now. So, this is newly launched from the house of COINiD. It is compatible to maintain track of the user’s transaction balance an entire history. The users will be allowed to get bitcoins and generate unsigned bitcoin transactions ready for signing with the COINiD Vault which is enabled to store the users’ private key with utmost security. The transactions are signed through COINiD Vault by using Biometric data or PIN code. The users can install the newly launched bitcoin wallet termed COINiD wallet on the same device along with COINiD Vault. It also can be installed on a different gadget to use the wallet as an offline storage solution. It is reported by Bitcoin Exchange Guide. The interaction will be accomplished through Bluetooth Low Energy in case if the wallet and vault are not installed in the same device. In this situation, the private keys are never exposed to the online environment. As long as the gadget requirements are concerned, the users need to have a smartphone or an Android handset. Crypto Ninjas talks about the general requirement stating either IOS 9.3 or Android 4 handset is required for using this wallet. 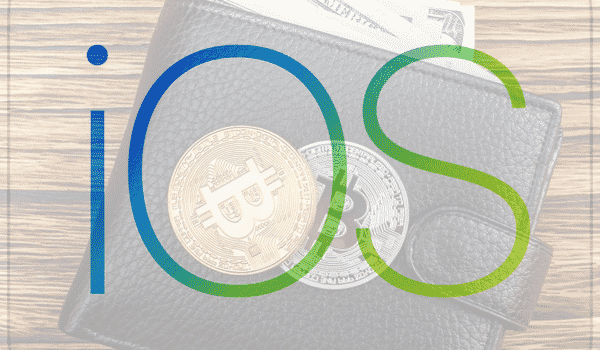 The users while enrolling for the newly launched wallet of bitcoin will receive a Testnet version along with a COINiD Vault. Apart from the offline storage, the app also incorporates hot wallet functionality. According to the prices chart in last 24 hours, the crypto valuation has lightly dropped with a difference of $2 billion which brings the market from heights of $215 billion to little low on $213 billion. These prices of the crypto market show a slight decline, but the prices of Bitcoin and Ethereum shows stability. Since this drop in the market, the price chart of major Cryptocurrencies shows a significant rise in their gains by 1%-5%. 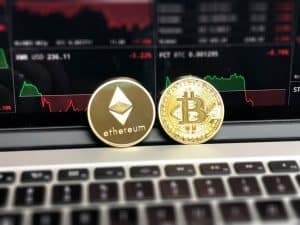 The major Cryptocurrencies that were into consideration were Bitcoin Cash, EOS, Ripple and Ethereum among other markets. The reports also suggest that the tokens of VeChain, DigixDAO, and Ontology which were down by 20% against Bitcoin and US Dollar also recovered rather quickly. Not only a relative recovery but they also recorded mostly 15% gains for overcoming the previous loss. August 17 reports state major tokens such as VeChain, DigixDAO, Ontology, and BAT, recorded the strongest performance against Bitcoin. These are of course not the only tokens that went through the progress as there were many more experiencing the same. Ontology and VeChain specifically saw the rise by 70% against the US Dollar and recorded 30%-60% gains against Ethereum and Bitcoin. However, on August 18, these token prices plunged remarkably due to investors’ overreaction. A minor rally led the price of Bitcoin from $5,850 to even $6,400 at last. Alex Kruger, the Cryptocurrency trader and market trading analyst, suggested that the investors overplayed their investments during a very short period of recovery which was the result of overselling conditions experienced by the cryptocurrency market. He also emphasizes on the fact that the corrective rally was even though minor, it brought large benefit over the market. It provided some space to the major tokens and cryptocurrencies and allowed their successful gains, and it was not the proper rally that marked the BTC place at $6,000. Kruger says that the BTC faces rejection at $6,600 price and as a result, there was a consecutive downfall experienced by the entire crypto market. There was a decline of at least 10-20% in the market by morning. But coming out of majorly oversold market levels doesn’t necessarily indicate that there are new bull levels. It isn’t the first time that Bitcoin is experiencing such a low touchdown at the end of $6,000. Before too Bitcoin has proved its ability to bounce back and hold its place at $10,000 eventually. If the charts are the proof to bitcoin’s volatility, in the time of eight months it has reached the lowest mark of $6,000 three times now. But it is important to remark if you are worried about the investments or the bull gains that every time it fell Bitcoin has reached the $10,000 mark three times as its recovery stance. The fall and rise to the maximum are therefore equally measured in recent times. Various market and cryptoanalysts share their views on this theory and believe that a minor corrective rally of Bitcoin along with the rest of the market can lead to $9,000 resistant levels. And it can dominate cryptocurrency one more time shortly with the initiation of a short-term rally. On the same front, it is important for the digital market not to let tokens and other major cryptocurrencies reach massive hikes of gains like VeChain’s 80% gains against USD in last week. It is because without a stable market and volatile limitation there could be a minor issue where they can prevent the prices of Bitcoin ever to reach major resistance levels in coming months. Earlier the same week there was an announcement of $2 billion hedge fund proposed by Pantera Capital for the crypto market. Grayscale, a Digital Currency Group, also raises $72 million while launching its third venture fund with the help of 90 investors. It is the recent collection, and the company aims to reach levels of $175 million for their maximum funding amount in aggregate by the end of the venture. Both Pantera Capital and Grayscale reports say that the decline in the market doesn’t point towards the decreasing demand in institutional and retail trades. It is an optimistic approach towards the further performance of the crypto market which shall be observed further this year. Bitcoin has become quite infamous simply because of the opinion prevailing in the market regarding its impact upon the financial sector and how it continues to affect the economy adversely. However, there is good news for the well-wishers of cryptocurrency. For the longest period of time, it was believed that Bitcoin is a platform used by the culprit to get away with Tax evasion, however, lately; it can be believed that Bitcoin has managed to outgrow that image of itself and is now a legitimate medium for carrying out the activities, it has become immensely popular over a period of time and is also assisting the experts in the market with price speculation as well as recognition of the culprits. As far as the other coins are concerned, it can be believed that altcoins have less anonymity than Bitcoin. According to the authorities, Bitcoin allows the organizations to track the activities of the culprits and in this manner; they are assisting the various organizations to look into the issues created by those people who are using Bitcoin and other such cryptocurrencies as a medium for money laundering and tax evasion. It is for this reason that several authorities and pioneers in this field are calling Bitcoin the “best friend” of law enforcement because it is assisting different people in the field of investigation to keep in check those who are a threat to the economy as well as to the image of cryptocurrency across the world. South Korea walks an extra mile to ensure safety: comes with a new department to tackle virtual currency. The framework of several countries is being changed so that cryptocurrency, in all its arbitrariness can be implemented in the financial system of the country. Japan has entirely changed the set up of the FSA, which is the regulation agency of Japan, to ensure that no more hacks take place in the country. South Korea is walking along the same lines as it has made important changes in the commission of Financial Changes of the country. It is being said that a new department would be set up which will be responsible for the formulation of the policies only for cryptocurrencies and the role they should play in the country. The commission has released a press note stating that a new department will be set up which will be called “Financial Innovation Bureau”. This new department will be responsible for coming up with innovative ways of reacting to and adopting the new changes which are taking place in the market. For example, deciding what would be the best method to deal with the risky blockchain technology. Several such issues would be handled by this new department set up by the South Korean regulation authorities. However, changes in the framework of the regulation authorities do not stop at that. The most important thing that has to be dealt with when it comes to digital currency is the investor safety. If the safety of the investors is not ensured, the image of cryptocurrency in the market will be severely tarnished; therefore, all the entities in the market have to ensure that the consumer and investor safety is maintained. The other unit that is therefore opened by South Korea is Financial Consumer Bureau. Consumer Financial Bureau will have several things it will have to take care of. As the name itself suggests, this bureau will take care of the numerous concerns related to the safety of the consumers, it will also be the responsibility of this bureau to look at the manner in which households which are on the margins are managing their finance. Moreover, integration as well as careful speculation will be the two major tasks of this new department opened by the regulation authorities of South Korea. With the opening of these two new departments, there can be noticed a major increase in the efficiency level of the regulatory authorities. There might be several other changes that would be implemented later according to the changes which are taking place in the virtual currency sector every day, there is very little space for any loopholes that can be the potential threats to the users of the virtual currency. Criticism for crypto currency: Powell cuts no slack. Up until now, the only money we believed existed was the money that could be touched. That is a primary reason why it is taking it for a large section of the society to be more accepting towards this form of currency. It is a fact no authority can over ride that crypto currency is intangible; it is a virtual form of value. And this is a major reason why there is a strong opposition from different parts of the economic ladder to accepting it as a form of currency. Not only have authorities from the third world voiced their disagreement but people from the developed countries are highly suspicious about crypto currency. One such person to raise his voice against the adoption and promotion of crypto currency is Powell, the person holding the position of the head of the Federal Reserve department of United States of America. Powell has warned congress against promoting crypto currency. He has also said that crypto currency often misleads those investors, who are amateurs in this field. Powell did not stop at this; he has also gone on to say that crypto currency is not even a real currency. There are also the security issues that Powell mentions. In the past as well, Powell had not refrained from commenting about how crypto currency has its hold on only some aspects of the market. That crypto currency is not yet powerful enough to be of a larger significance to the economy at large. Even as the Jerome Powell railed against crypto currency, there are various corporate giants willing to explore their chances with regards to crypto currency. The latest addition to this group is the asset management giant Blackrock, along with other prominent companies such as NASDAQ. Moreover, Bitcoin Investment Trust has also stated that the new investors are deciding to invest in Bitcoin everyday and therefore, there can be noticed an increase in volumes as well as popularity of crypto currency all over the world in the past year and this year as well. Just like the Head of the Federal Reserve, there are several other individuals from the Federation against the adoption, promotion or acceptance of crypto currency. However, the similar thing cannot be said about the different investors from United States. There can be noticed a steady increase in the number of investors on the day to day basis for crypto currency. Moreover, not everyone from federation itself has agreed to the opinion of Powell, for example, the branch of federation in St. Louise agreed that there are several similarities between crypto currency and cash. And this bank has also clarified that it would welcome different crypto currencies. The opinions from various financial institutions are not completely positive about crypto currencies, but they are not as harsh as the one expressed by Powell. There is a huge amount of investment which is coming everyday for crypto currency and the value of crypto currency will be affected only to some extent because of the views of the head of Federal Reserves.